Yes, we are still accepting Mississippi clients with new Chinese drywall claims against ALL DEFENDANTS in 2018. Call (205) 533-9500. Was your Mississippi home built with defective Chinese drywall? 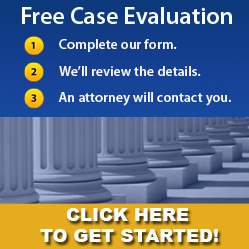 Call Doyle Law Firm's Birmingham, Alabama office: (205) 533-9500 for a free consultation. We're still accepting clients in every county in the State of Mississippi and we continue to actively file Chinese drywall claims for our clients. To date, our Mississippi Chinese drywall lawyers have reached four (4) settlements with one of the major manufacturers of defective Chinese sheetrock (Knauf), importers, distributors builders, and subcontractors in the Chinese drywall litigation. If you have recently learned that your home has toxic, reactive, defective Chinese drywall, you need to call us immediately! It is critically important that you file your claim as soon as possible. Homes with Knauf sheetrock are being remediated, but eventually, the settlement funds will be exhausted. Without the ability to recover the full damages (including those from manufacturers), there may not be enough money in the future to fully remediate your home and compensate you for your losses. We can fight for you to get the full compensation you deserve under Mississippi law, but you must act quickly. Do not put off calling us for another day. Chinese drywall is simply a building product used to create the walls in a home. Chinese drywall is no different in appearance than domestic drywall. The problem with some of the imported drywall from China is the composition of the gypsum material (inside the sheetrock paper) contains contaminants that should have been removed during the manufacturing process. Over time, the defective drywall materials undergo a chemical process and "off-gas" noxious fumes that are harmful to people and certain metals within a home. If the answers to these questions is "yes," then you may have Chinese drywall in your Mississippi home. Still not sure? Call us and we can direct you to an experienced inspector who can help you determine whether your builder used defective Chinese drywall during construction. We are still accepting and filing new Mississippi Chinese Drywall cases. 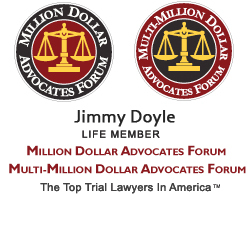 The Mississippi Chinese drywall attorneys at Doyle Law currently represent hundreds of home owners across the Gulf Coast of the Southeastern United States and we can help you. If you are concerned that your home contains defective Chinese drywall, get your home evaluated by an experienced inspector. We can refer you to a trained and qualified Mississippi Chinese drywall inspector in your area. We've worked with inspectors in every county of the State of Mississippi affected by defective, reactive, toxic Chinese drywall. We continue to represent Mississippi homeowners in Chinese Drywall Litigaiton against all manufacturers responsible for this mess. Let us help you file a new claim today. Doyle Law Firm's Chinese drywall lawyers continue evaluate claims from every southeastern state. But, the use of defective Chinese drywall was not limited to just those areas. If you suspect that your home contains defective Chinese drywall, call one of our Chinese drywall attorneys in our Birmingham, Alabama office: (205) 533-9500. Although we've reached four separate settlements with Chinese manufacturers of defective drywall, we are not done pursuing these entities. Recently, Doyle Law Firm filed new lawsuits against Knauf Plasterboard Tianjin and the Taishan Defendants - Taihe, Taian Taishan, Taishan, Crescent City Gypsum, Dragon Brand, Pro Wall, IMG, IMT, Venture Supply, and Beijing New Building Materials. Doyle Law Firm continues to evaluate new claims and add plaintiffs to the filed complaints. Once all claims are settled, we expect the payout for all filed claims to exceed $2 Billion, when the full damages are assessed. It may still be possible to add your claim to the Knauf and Taishan complaints. Don't wait another day to call us if you've confirmed Chinese Drywall in your home. Missing your chance to file a claim could be very costly to you if you try to sell your house one day without full remediation. Let us help you. Chinese Drywall Defendants have now contributed over $1 billion to the cost of remediation, including living expenses and personal property damage. The total amount to be paid to affected home owners will exceed $2 billion when Taishan claims are fully settled. Chinese drywall suppliers, distributors, home builders, and subcontractors used defective drywall from Texas to South Florida in every gulf coast state. Banner Supply Company operates throughout Florida and is another major importer and supplier of defective, toxic Chinese drywall. Banner agreed to pay the limits of its insurance policies to settle claims against them related to Chinese drywall. The total amount to be paid to affected home owners is $54 million, but reduced to some degree by the cost of litigation. Banner is also moving forward with an independent action against Knauf for alleged fraud that they claim induced them to continue selling the bad KPT drywall after intial suspicions surfaced regarding the adequacy of the product. It will be interesting to see the Banner v. Knauf case play out.